Do you understand the word HTML? This way config dialogs can be adapted depending on the mode as well. Ah, and if you want the normal mode back, go into the KWrite settings and enable [x] Enable Developer Mode. 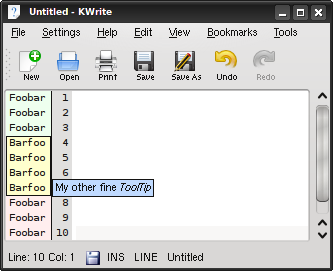 Then restart KWrite.